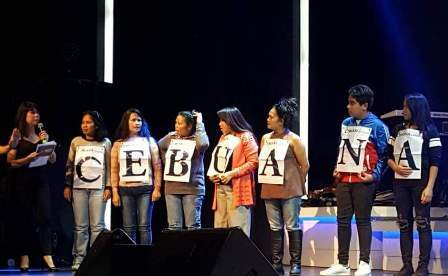 Leading microfinancial services provider Cebuana Lhuillier together with the country’s top television network ABS-CBN and its radio arm DZMM and international arm, The Filipino Channel kicked off the annual Global Pinoy Singing Idol in historical Greece last March 24. Over 1,000 people gathered to watch aspiring Filipino singers during the finals round event of the region held at the Gazi Music Hall in Athens. Local actor Gerald Anderson and singer Morrisette Amon also performed during the event. The event’s major sponsor Cebuana Lhuillier provided entertainment and cash prizes to overseas Filipinos workers who participated and won in the pre-game show, Letra Swerte. Cebuana Lhuillier also sponsored the competition’s preliminary leg held last 2017 in Vienna, Austria and Toronto, Canada.